In the early days of navigation, mariners depended heavily on knowledge of landmarks and geographical features to find their way. This was especially true when entering harbours and river mouths. Early navigational charts showed important physical features that would be visible to mariners, and at the mouth of the Fraser River one of the most important of these was “The Leading Tree”, a large tree at Garry Point which stood out starkly on the otherwise featureless landscape of Lulu Island. 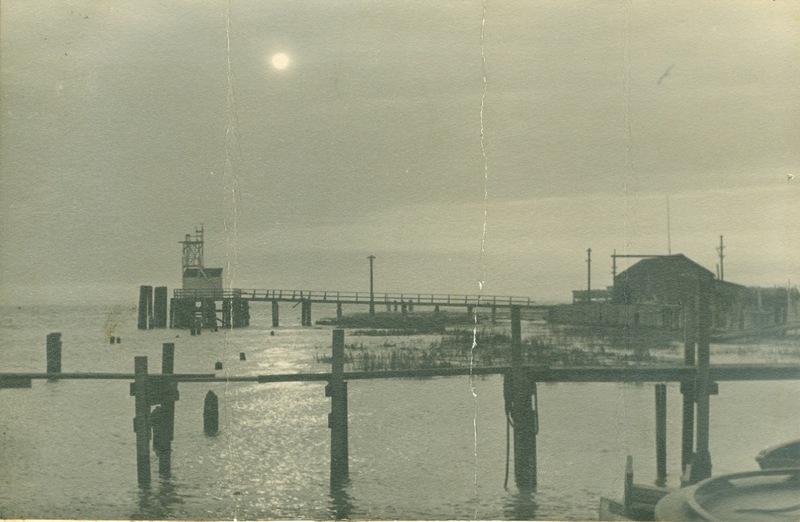 This view of Steveston’s “Cannery Row” shows a rare image of the Leading Tree at Garry Point, on the left, ca. 1890. 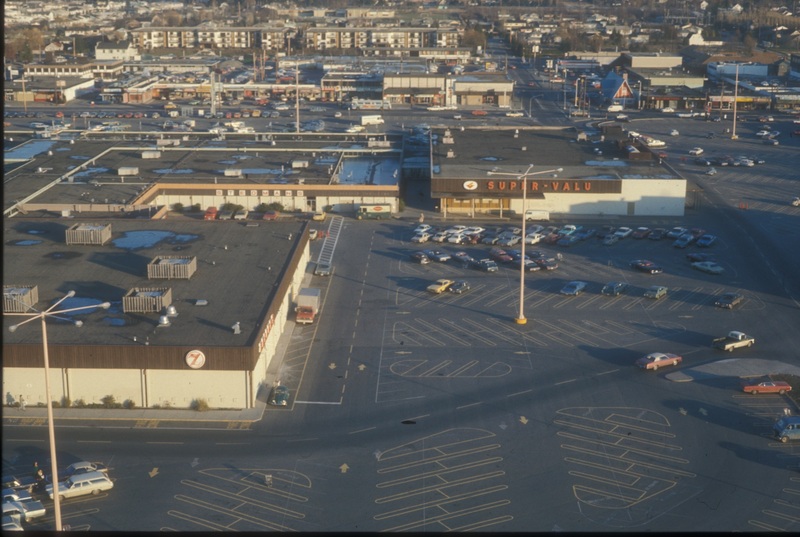 Photo from City of Richmond Archives digital reference files. The Fraser was first charted in 1859 by Captain G.H. Richards, who also had a series of navigation buoys anchored to mark the river channel. On his chart the tree was featured as a navigational marker and it subsequently appeared in future Admiralty charts and sailing directions for decades to come. The tree was called by several names, the Leading Tree, the Lone Tree, the Garry Tree and the Garry Bush and was either a spruce, pine or fir, depending on which record is read. Regardless, it was a vital guide in making one’s way into the river, even for experienced local mariners. The article states that in the previous three years 400 to 600 feet of shoreline had been washed away and that the roots of the tree had become undermined. A later article from November 21, 1891, titled “An Ancient Landmark Gone” stated that despite efforts to save the tree, it had been washed away in a gale on the 20th. 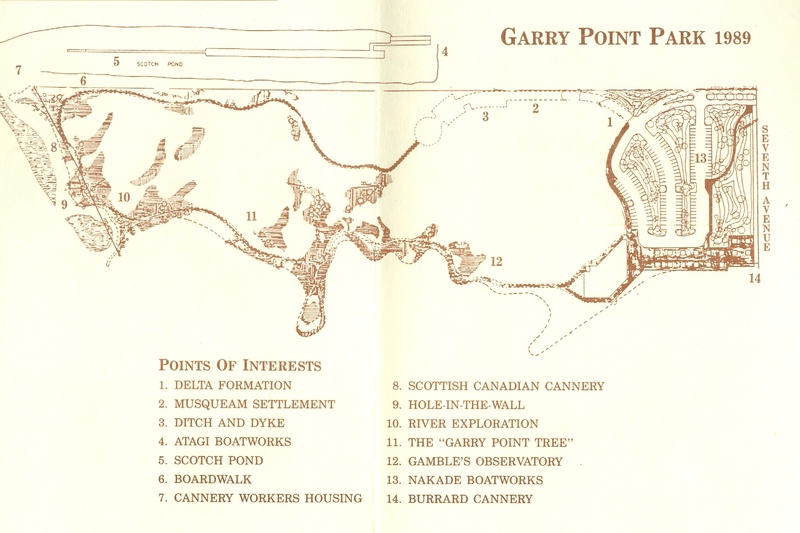 The loss of the tree prompted the authories to install a light at Garry Point, mounted atop Gamble’s Observatory, which had been built as a tide gauge by Provincial Government Public Works Engineer F.C. Gamble, the supervisor of dyking operations in the lower Fraser Valley. The construction of the Steveston Jetty in 1911 and a program of dredging have stabilized the shifting main channel and newer lights and navigation markers and buoys make the trip up the river much less risky than in the past, but all these modern aids to navigation have a heritage that stems back to a single large tree that grew at Garry Point. 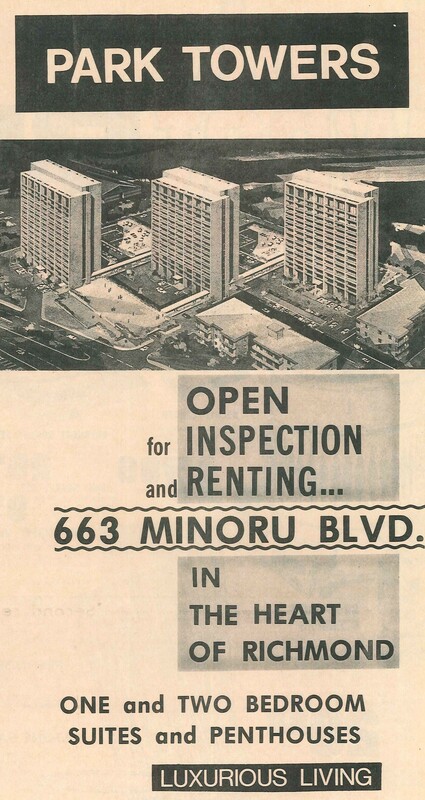 The early 1970s saw the construction of Richmond’s first high-rise buildings, the 17-storey Park Towers complex off Minoru Boulevard. The three-tower project was designed by Erickson-Massey Architects under the terms of the municipality’s first land use contract. Prior to this time, the highest building in Richmond was Richmond General Hospital, at a height of 6 storeys. 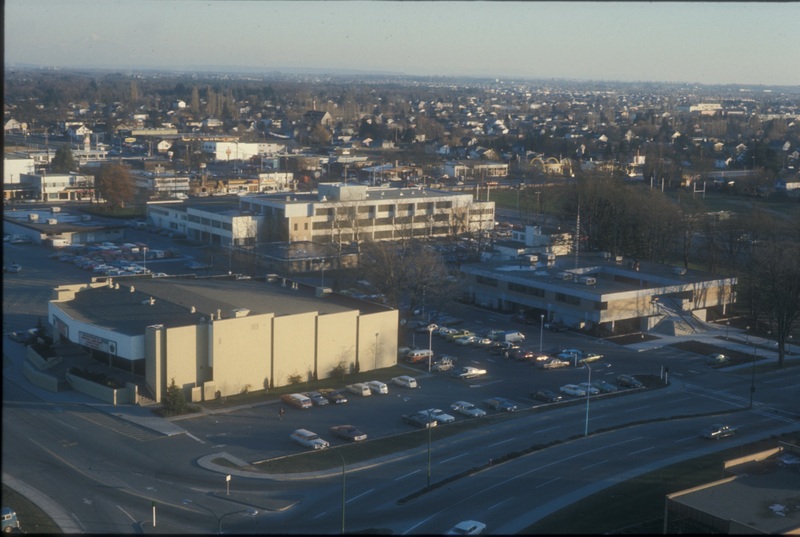 Shortly after construction of the final tower, Engineering Department staff took photographs from the building of its surroundings, including Richmond Square (now Richmond Centre Mall) to the east and Minoru Park to the west. 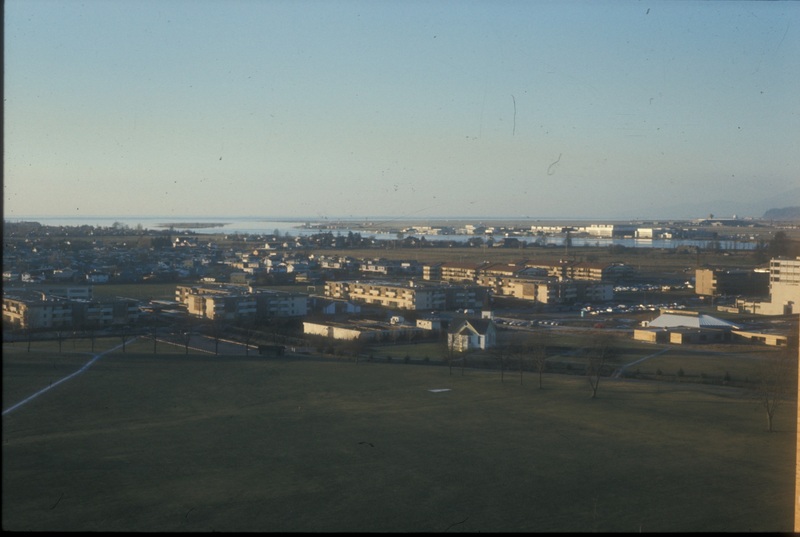 These slides were recently described and scanned as part of the City of Richmond Archives’ ongoing digitization program. 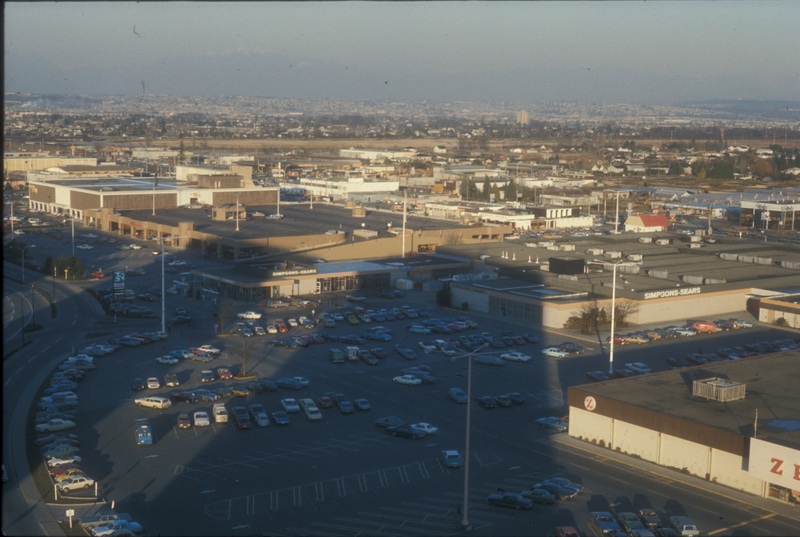 The images provide a view of Richmond’s Town Centre in transition at the beginning of its rapid development through the 1970s and 1980s.